FRIDAY, Feb. 5 (Health.com) — Desani Marshall was never really overweight, but she was always a little big for her age. During a checkup at age 4, her doctor pointed out to her mother that Desani was gaining weight more rapidly than he thought was normal. Six months later, she was still putting on pounds at a rapid pace—a strong predictor of future obesity. Now 7, Desani is gaining weight at a normal pace, thanks in part to dietary changes—such as cutting out soda—that Marshall has implemented. “Everybody would look at her and say, ‘She’s so skinny. Why?’” Marshall says of her daughter’s regimen. In some ways, Desani’s success story is an exception. Across the country, childhood obesity has only gotten worse. More than 20 years after it was first described as an epidemic, 17% of American children and adolescents are obese—triple the rate in 1980—and nearly one-third are overweight, according to the latest government data. Alarming statistics such as these have prompted government agencies, schools, and nonprofit organizations to launch a barrage of anti-obesity programs in recent years. Their sense of urgency is not shared by all parents, however. In fact, studies have consistently shown that parents tend to underestimate their child’s weight and the health risks associated with being too heavy. In a 2006 study that surveyed the parents of obese children, only one-half recognized that their child was overweight, and less than one-third said they were “worried” about their child’s weight. In another survey, only 38% of parents had taken steps, or were planning to take them, to help their obese child lose weight. Several factors may be contributing to this indifference among parents, experts say. Some parents believe their child’s excess weight is just “baby fat,” for instance, and some may simply be in denial. Or it could be that parents have concluded their kid is normal after eyeballing his or her overweight peers. Parents should be concerned. 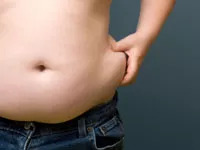 Although some overweight kids do outgrow their baby fat, roughly two out of three are likely to grow up to be obese adults, according to a 2009 study by the U.S. Centers for Disease Control and Prevention (CDC). Childhood obesity, moreover, is associated with a slew of serious health problems, including diabetes, asthma, heart disease, and depression. How do you know if your child’s chubbiness is baby fat or a serious health problem? You can’t always tell just by looking, and you can’t always count on pediatricians to broach the subject. But you can take matters into your own hands and adopt habits that will keep your child as healthy as possible. Most parents probably feel pretty confident that they know whether their child is overweight or not. The research tells a different story: A large proportion of the parents of overweight children—and especially mothers, who are surveyed more often—do not perceive their children as overweight. In some studies, the percentage of parents who don’t realize (or won’t admit) that their child is overweight has been reported to be as high as 80% to 90%. It’s not entirely clear what accounts for this disconnect. For starters, many parents define obesity differently than health professionals do, and distrust the growth charts used by pediatricians. In a focus group discussion that was excerpted in the journal Pediatrics in 2001, one mother of a preschooler defined an obese person as someone who “can barely walk.” Other mothers denied that their children were fat or overweight, and instead used words like “big-boned,” “chunky,” and “solid” to describe them. Susan Carnell, PhD, a research fellow and childhood obesity expert at the New York Obesity Research Center, attributes the failure of parents to accurately assess their child’s weight to changing social norms. Not only are kids heavier than ever before, but roughly two-thirds of adults are also overweight, and parents who are overweight themselves are less likely to identify their children as overweight, Carnell notes. Social values and beliefs may also distort a parent’s perception. Parents are more likely to overestimate the weight of their daughters, for instance, perhaps because they feel it is less acceptable for girls to be heavy. Similarly, some studies suggest that parents of different ethnicities and cultural backgrounds have different conceptions of body type and overweight. If you’re waiting for your child’s pediatrician to tell you that your child is a bit heavy, don’t hold your breath. In spite of the myriad health risks associated with childhood obesity, pediatricians often fail to screen for it during annual checkups and office visits. Even if they do feel that a child is overweight, many pediatricians are hesitant to say so, perhaps because they think it’s a touchy subject. In the AAP survey, only 59% of pediatricians said they believe that families want to discuss weight. “I think some doctors are reluctant to bring up weight because they are not trained to deal with it sensitively,” says Carnell. Discussing a child’s weight with parents in the wrong way—by implying that they are to blame, for instance—can make parents “feel guilty and defensive,” she adds. Doctors may also adopt a hands-off approach to weight because they feel there’s little they can do. Less than one-quarter of the pediatricians in the AAP survey believed that there are effective treatment strategies for overweight and obesity. Pediatricians only set aside about 15 minutes for a regular checkup, Dr. Dinkevich says, and they have to pick and choose which topics to discuss with parents in that time. Doctors must ask themselves, “What am I competent to talk about, and if I talk about it, will it make a difference?” he says. For far too many doctors, he adds, obesity treatment and prevention don’t fall into that category. New guidelines for childhood obesity screening might help reassure pediatricians. In January, the U.S. Preventive Services Task Force, an independent panel of experts that advises the federal government on preventive care, released new guidelines that urge doctors to routinely calculate the BMI of children between the ages of 6 and 18. The guidelines also say that children who qualify as obese should be referred to various interventions, such as nutritional counseling or physical activity programs. Although the new guidelines may encourage pediatricians to monitor the weight of their patients more closely, parents should be proactive about doing so as well. Periods of rapid weight gain have been shown to predict future obesity, says Samuel S. Gidding, MD, the chief of pediatric cardiology at the Nemours/Alfred I. duPont Hospital for Children. Above all, parents should remember that their kids are likely to adopt their eating and exercise habits, good or bad, and that they should therefore model healthy behavior.